Who works for the YMCA? The James Family Prescott YMCA looks for people who exemplify the values of caring, honesty, respect and responsibility; and who want to improve the quality of life in the community. Seeking qualified Preschool teachers to work part time at the Prescott YMCA. All applicants must be 18 and are required to have or be able to obtain a Level 1 finger print clearance card, CPR and First Aid, plus a negative TB test prior to starting and you MUST have at least 6 months of experience working with children in a licensed facility. Must have a High School Diploma or GED. Please read job description and you can apply via email. Seeking qualified After school group leader to work part time at the Prescott YMCA. All applicants must be 18 and are required to have or be able to obtain a Level 1 finger print clearance card, CPR and First Aid, plus a negative TB test prior to starting and you MUST have at least 6 months of experience working with children in a licensed facility. Must have a High School Diploma or GED. Hours are M-F 2:30-6:00 except Wed 1:30-6.00. Available during no school camp days 6:30 am-6:00 pm. Summer Day Camp must be available M-F 6:30 AM -6:00PM. Please read job description and you can apply via email. The Fitness Department has an opportunity for a part time Aqua Aerobics Instructor. This position is responsible for providing fun, effective and safe group exercise to members participating in aqua fitness. The class will be taught at noon on Mondays/Wednesday/Fridays and is a 55 minute class. Current group exercise instructor certification preferred, but we are willing to train the right candidate. 2+ years group exercise instruction experience preferred. Excellent customer service and communication skills including the ability to motivate others! AED/CPR required within 3 months. Please contact Mary Byrne for more information. Do you want to join a fast paced and very busy department? The Prescott YMCA is looking for a knowledgeable Maintenance person to join our team. Hours vary. You must have hands on mechanical, electrical, some landscaping and basic construction skills. In other words someone ready to just jump in to share and learn skills to keep the Y running smoothly. Please pick up an application at the Prescott YMCA or download one from below. Drop off your application at the Membership Desk or email it to Damon Olsen. Download job description. The Aquatics Department is seeking certified Lifeguards with day, evening, and weekend availability. Candidates must hold a CURRENT American Red Cross or YMCA Lifeguard certification along with CPR/AED, First Aid, and Administering Emergency Oxygen. Contact Kelly Winkels, for more information. This is a part time position only. The Aquatics Department has an opportunity for a part time instructor. This position is responsible for providing fun, effective and safe group exercise to members participating in our warm water classes. We are looking for individuals who can teach mornings, occassional afternoons, and be willing to sub evening classes when needed. We are willing to train the right candidate. Excellent Customer service and communication skills including the ability to motivate others! CPR/AED and First Aid required within the first 30 days. Please contact Kelly Winkels, Aquatics Director, for more information. 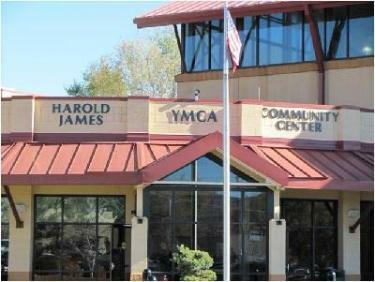 The James Family Prescott YMCA has an extensive volunteer program. If you are interested in sharing your time and skills, we would love to have you. Please contact Membership Director for more information. Criminal background checks will be conducted for all potential staff post job offer through Screening One and Department of Economic Security. Child Care employees are also required to obtain a federal fingerprint clearance card. Background checks will comply with applicable regulations governing programs. Applicants will not be considered for positions when checks show evidence of convictions for an offense involving children and/or offenses involving violence, dishonesty, illegal substances, indecency and any conduct contrary to the mission of the Prescott YMCA and AZ Department of Health Services Child Care Licensing requirements. Failure to disclose a criminal conviction on the application form may also terminate an individual’s application. All employees over 18 years working in child care are required to be fingerprinted, and the cost will be paid by the employee. Fingerprinting is to be completed within six days of employment and is a condition of continued employment. The application will request basic information from the applicant and will inquire into previous experience with children, reference and employment information, as well as disclosure of any previous criminal convictions. The application form will be maintained in a personnel file at the Prescott YMCA business office. A personal interview will be conducted with the applicant by management staff to discuss the position and the applicant’s talents, qualifications and abilities. Multiple and/or group interviews may be conducted as appropriate. Potential employees will be notified that their employment is contingent upon the checking of references and the results of a background check. Each applicant must provide at least three (3) references. References may be personal or professional and may be presented in written form or by providing phone contact information. At least one reference will be from a personal contact if available. All references will be confirmed by management staff and documented prior to any job offer. Reference checks will become part of the applicant’s personnel file upon hire. All employees will read and sign the Prescott YMCA Code of Conduct at time of hire.